When Jo and I went campervanning in New Zealand around 10 years ago, we said that it was the best holiday we'd ever had. Part of the reason for that was the amazingly picturesque countryside that changed landscape style and formation so often and in such short distances. Well credit to both France and to Diamond Cycle Tours — the route we have taken has shown France to be a beautiful, wildly variable and equally picturesque part of this massively amazing planet. The day started climbing straight away from Malaucene. That wonderful non-pedalling for 10k (and 15k of average negative 10%) from yesterday that delivered me directly to the hotel front door came back and bit me on the arse - hard! This direction back up had plenty of +9% to 14% and one section was about 3k averaging over 11%. The bottom had nice forest and cool shade but as she went up, the sun got higher and more over head and I lost a tonne of juice. (I'm getting sick of washing down my bike after every ride just to get the salty sweat remnants off the stem, forks, top tube, down tube and bottom bracket - but I guess it's OK, I'll keep managing). Paul and I just tapped it out together. After the second summit of Ventoux in 2 days (with another to go tomorrow for the TdF stage) we descended down to Sault for coffee and then through countryside more reminiscent of the Adelaide hills than Europe. 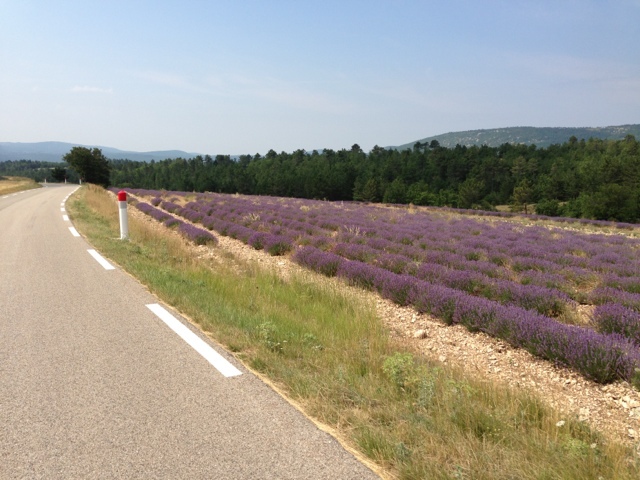 We left the vineyards and rode into lavender country - it was totally like riding your treddly into a massive pile of freshly laundered clothes, or being at Granny's house and opening the draws of the linen cupboard. The Gorge de la Nesque was totally unexpected and superb...not least of which because it was about 25k long at an average descent gradient of 3%. Just cruisin and lovin life! And when I've been trying to explain fresh laid black top: get a load of this...smoooooooooooth! The back of my right knee was a little tight after yesterday so I went for a massage last night. It was a bit naff and light on but probably better than going too hard. Either way, it was very relaxing. Now to get there, I caught public transport all by myself - and lucky for me, it was seamless. 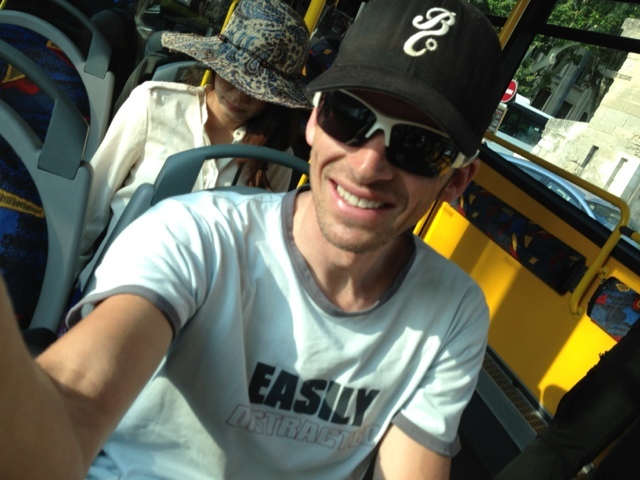 It is a very humbling experience to bus in a foreign country with little language skills. For all of Australia's awesomeness, our remoteness leaves us very insular when it comes to language. Avignon did not gain anything in our absence! 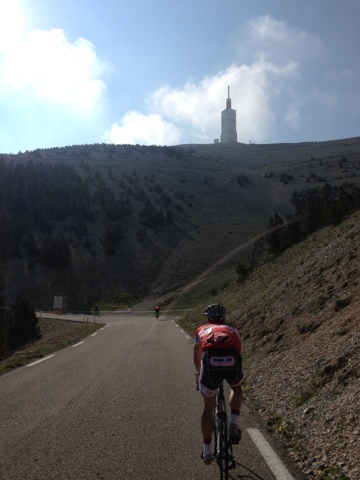 Oh, and I nearly forgot to mention...the first 6k of the descent from Ventoux was MENTAL...humans, bikes, cars, dogs, motorbikes, tents and Campervans by the thousand - all waiting for tomorrow's stage. There was one family cooking a BBQ on a blind hairpin on the road!! I'll put up a picture tomorrow. Crazy stuff but the excitement was palpable. 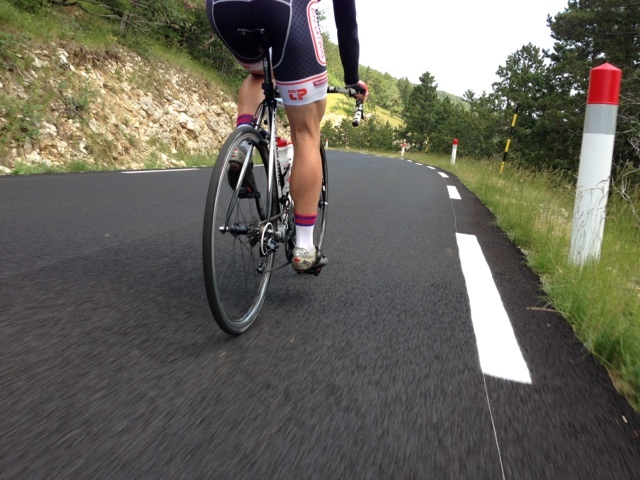 Another great stage of le Tour. Absolutely bugger about Alba but we were cheering VERY hard. 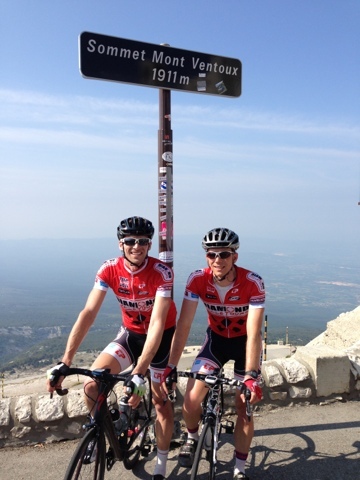 As you read this, we are en route to Ventoux to watch the Bastille Day Stage 15. Can't wait...I'm like a kiddie on Christmas morning!! !